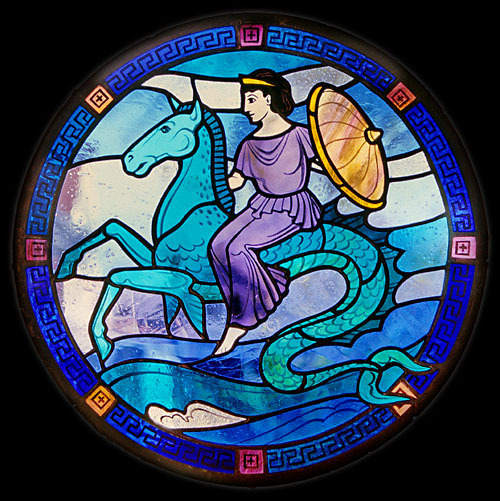 Thetis is a sea nymph, mother of Achilles. When Achiles went off to the Trojan War, she persuaded Haephestus to make a golden shield for her son, on which were depicted all the activities of Greek life. The workmanship is symbolized by the use of a piece of precious gold pink" English streaky glass. It is precious both because the coloring is obtained by the use of gold in the melted glass, and because it is no longer manufactured.